Our goal is to connect people with the best local experts. 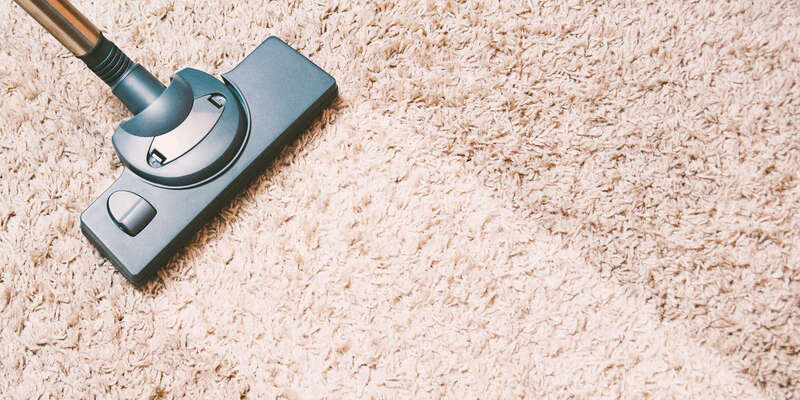 We scored carpet cleaners on more than 25 variables across five categories, and analysed the results to give you a hand-picked list of the best carpet cleaners in Frederick, MD. Cornerstone Floor Care is a carpet cleaning company based in New Market, Maryland and serving all of Frederick County (New Market, Urbana, Ijamsville, Linganore, Monrovia, Mount Airy, Frederick City) and Upper Montgomery County (Damascus, Germantown), Maryland. The owner, David Costigan, has nearly 20 years of experience in the industry, specializing in carpet, area rug, and upholstery cleaning for residential and commercial properties. David offers two carpet cleaning processes that allow him to extend different price points to his customers, the deep extraction restoration and brush and bonnet techniques. Both methods utilize non-toxic cleaning solutions, leave behind no residues, and have quick drying times. Cornerstone Floor Care is pleased to offer free estimates and was named a Thumbtack Top Pro of 2017. Cresor Commercial and Residential Cleaning is a cleaning service company that is located in Frederick, Maryland. This business performs commercial and office cleaning, house cleaning, as well as windows and carpet cleaning. Its residential‎ services include basic maintenance, carpet cleaning, move in/move out, window washing, specialized cleaning, and deep cleaning. The commercial‎ services rendered include regular maintenance, deep cleaning, restaurant equipment, stripping/waxing floors, power washing, and special events/specialized cleaning. Cresor Commercial and Residential Cleaning has worked in many different types of environments including industrial facilities, auto dealerships, retail establishments, financial institutions, office buildings, hospitality centers, plus more. This cleaning service company is an advocate for a green environment and offers affordable prices. At Curtis Fiber Cleaning, Inc., a highly professional team has created a dependable and prompt business for Ijamsville and the surrounding area. After its debut of more than 25 years ago, the business's quality grew quickly and steadily has continued to provide valuable cleaning services to the local community. To maintain exceptional standards, all leaning technicians must IICRC (Institute of Inspection Cleaning and Restoration Certification) certified, and they also focus on using environmentally friendly products. By staying easily available through their business website and Facebook page, and by offering carpet cleaning, upholstery restoration, and a variety of other organizing services, they remain valuable and versatile. Express Carpet Cleaners, Inc. provides an array of cleaning services to residential and commercial customers in Frederick County, Montgomery County, and Northern Virginia. The company offers efficient and affordable solutions for water restoration services, carpet cleaning, stain and spot removal, air duct cleaning, and hardwood cleaning. Express Carpet is fully insured, bonded, and certified to handle any size flood jobs and to service the equipment of many other cleaning companies. It is the exclusive Hydra master dealer for the Washington area, which allows it to repair and replace equipment with no downtime. Express Carpet has a fleet of technologically advanced, truck-mounted hot water extraction equipment. Frederick County Carpet Cleaners is a family-owned carpet cleaning business in Frederick, Maryland, serving the Frederick County area. The Frederick County Carpet Cleaners team specialize in carpet cleaning, pressure washing, and flood restoration. They prioritize being known as quality carpet cleaners, and to that end hire trained and experienced professionals as well as investing in the best equipment, so that they can guarantee exceptional service. The company is proud of its track record of serving the community, cleaning thousands of carpets, and works hard to maintain the trust of local families who choose it. It is available for hire weekdays but also offers 24-hour emergency flood services, with prices aimed to be affordable to the families of Frederick. J&J Premier Cleaning cleans carpets in Frederick. The locally owned and operated company uses a 12-step cleaning process for stain removal, removal of allergens, dust, and bacteria, restoration of color and texture, and improved air quality on every job. Interested parties can read more about the group's carpet cleaning on its website, and commercial and residential cleaning services are also available including for move-in/move-out cleanings, one-time cleanings, and routine service as well. J&J Premier Cleaning is fully insured and bonded, performs background checks on all employees, trains staff with the latest cleaning techniques, and uses inspections and quality controls to make sure work is always top-notch. Customers also appreciate the group's competitive pricing and 100% satisfaction guarantee. Jackson Restoration & Carpet Cleaning is a business that specializes in providing deep cleaning services to the Frederick market, and it has done so for more than 25 years. The Frederick market includes the counties of Frederick, Montgomery, Carroll, Howard, and Washington. Despite being small and family-owned, the company has achieved Institute of Inspection Cleaning and Restoration Certification (IICRC) for all its technicians, and it is insured and bonded to give customers peace of mind. Furthermore, company owner Bob Jackson guarantees his presence on every job site — a quality which customers have commended for its attention to detail. Customers also recognize Jackson's technicians for their care in balancing deep cleaning technology with the TLC old furniture requires. Established in 2003, Liberty Pressure Wash, LLC offers a variety of cleaning and maintenance services to the Frederick and Washington counties in Maryland as well as the Eastern Panhandle of West Virginia. Pressure washing is available on many surfaces such as residential siding, stucco, sidewalks, gutters, store fronts, and even spots in need of graffiti removal. Technicians clean carpets by performing a pre-cleaning inspection, fiber identification, general vacuuming, and then on to pre-treatments, spot cleaning, and thorough steam cleaning to rid areas of dust mites, pet stains, odors, and harmful bacteria. Tile, grout, and upholstery can be serviced as well as dryer vent and air duct maintenance to promote safe air quality and prevent fires. Clients speak highly of Liberty's efficient cleaning techniques and attention to detail. Number One Carpet & Upholstery Cleaning is a Clinton family-owned and operated business that serves commercial, industrial, and residential customers. Areas the business serves include Virginia, DC, and Maryland. The business provides a variety of services including carpet cleaning, mattress cleaning, drapery cleaning, upholstery cleaning, Scotchgard protection, air duct and vent cleaning, flood water extraction, move-out cleaning, and apartment janitorial services. Number One Carpet & Upholstery Cleaning guarantees satisfaction. Number One Carpet & Upholstery Cleaning is HomeAdvisor Screened & Approved, is a HomeAdvisor Elite Service Professional, and is a 2017 Best Of HomeAdvisor Winner. Clients remark on their knowledge, professionalism, work ethic, quality of service, and punctuality. So Clean Carpet Cleaning Frederick offers all types of cleaning including commercial carpet, residential rug, carpet, and upholstery as well as end-of-tenancy and custom services to customers in Frederick and the surrounding communities. The company has a team of trained professionals with years of experience in removing stains and odors of all kinds. Their powerful vacuum extraction techniques remove dirt, oil, debris, and hair along with bacteria and allergens in the carpet fabric. The experienced technicians use such state-of-the-art equipment as high-powered steam cleaning units to remove unpleasant odors and spots and sanitize carpets in a few hours. The company sets up their commercial cleaning services for the most convenient times for businesses and follows up 48 hours later with an inspection to ensure the high quality of the work. So Clean Carpet Cleaning also furnishes their services to property managers, apartment complexes, and hotels.